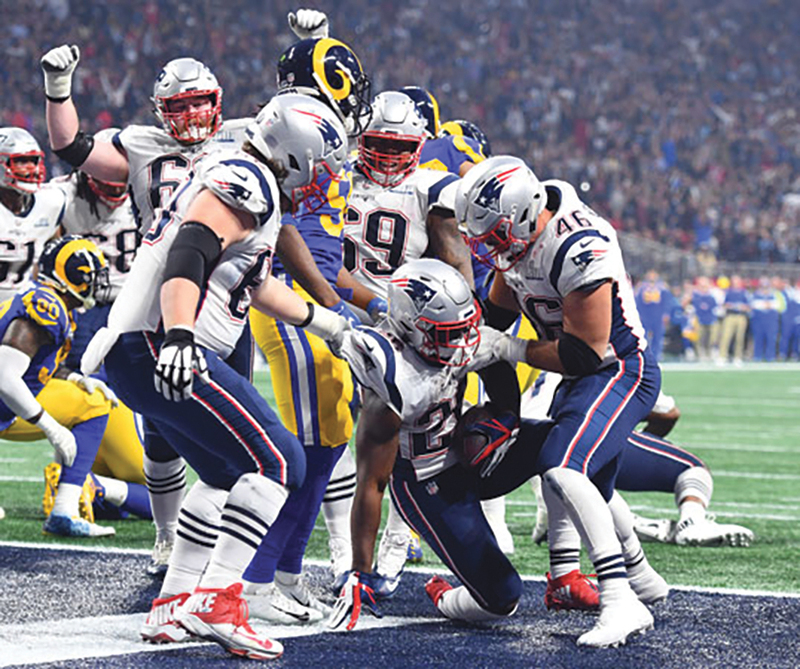 Having had 2 weeks to prepare for this moment, the New England Patriots and Los Angeles Rams came into this Super Bowl with so much to prove from each of their viewpoints. The Rams were eager to prove they deserved to be in the big game, considering the controversial call in the NFC Championship a few weeks ago, while the New England Patriots were seeking to tie the Pittsburgh Steelers for the most Superbowl Championships in NFL History, while extending the distance between whomever you may consider being the best coach and quarterback in NFL History. As Gladys Knight kicked off the CBS telecast with a dazzling rendition of the “Star Spangled Banner,” and we were all were getting comfortable with snacks in hand ready to enjoy this matchup, a strange thing happened. Both defenses showed up to play! Not only did we see great defense played on both sides of the ball, but both offenses did also leave some plays on the field as well. Which is why some fair-weather football complained about this being a boring game. The Rams defense is bolstered by the league’s Defensive Player of the Year in Aaron Donald and the cast of All-Pro caliber free agents their front office brought him to compliment him. Though the Rams have underperformed during the regular season, they have been largely up to the task in these playoffs. so was the defense of the New England Patriots who are led by arguably the best defensive mind in the history of the game. Though Tom Brady threw an interception on his second pass of the game, his defense stepped up to give him another opportunity as they would throughout the game. The Rams defense continued their stout play as they have throughout the postseason. The Patriots 5 punts in the game along with the Rams 9 punts were an indication that both defenses were applying the necessary pressure to impact this football game. Coming into this game the Las Vegas betting line had this game’s over/under at 57.5 pts. Confirming the type of high scoring game we all expected to see, to not have a touchdown thrown all game really speaks to the defense scheme implemented by Rams Defensive Coordinator Wade Phillips and the Patriots Defensive Coordinator Brian Flores. The players' execution of these schemes led to both teams exchanging field goals throughout the 3rd quarter. The Patriots started their go-ahead touchdown drive with 9:49 on the clock, at their 31-yard line. The Patriots found a weakness in the Rams defense, as they jabbed the Rams with short passes to Edelman over the middle then hit their big Tight End Rob Gronkowski for 28-yard seam route. Patriots Rookie running back Sony Michel capped off the drive with a 3-yard touchdown run to give the Patriots the lead. ball. On the very next play, Jared Goff threw an interception, all but ending their chances to come back in this game. The Patriots late sealed the game with a field goal on the subsequent drive. In this win, they've been the only since the ‘72 Dolphins which we’ve seen a team bounce back from a Superbowl loss one season to bounce back to win the Superbowl the next season. Sean McVay and the Los Angeles Rams have a bright future, though Bill Belichick and Tom Brady once again prove any talk of the demise has been greatly exaggerated. As expected, the Patriots won their 6 Superbowl Championship! Tom Brady becomes the only player to win 6 Super Bowl rings and must be now considered ed the Greatest Quarterback of All Time i.e., the goat; This is no longer worth debating! Just as Belichick is inarguably the GOAT of NFL coaches; this combination is nearly unbeatable… but they are getting older. Can the Rams come back and get their revenge next season? Let me know who if you are one of those who thought the game was boring or did you enjoy the defensive struggle; also let me know if you think the Rams can make it back to this spot next season. You can share your thoughts with us by commenting in the comment section of this article on www.whatsgoodinsports.com or reaching out to us on twitter @whatsgoodinsports.